Jochen Neerpasch has been a pilot for Volvo, Ford and Porsche, he has competed at Le Mans, Daytona and Nürburgring, and he had a definite contribution in the development and growth of Michael Schumacher, yet his name remains forever linked to the performances recorded by BMW since 1972, when he laid the foundations for BMW Motorsport GmbH. To hand over the keys of a BMW M1 to Jochen Neerpasch seems like an unfair gesture, an undeserved generosity, even an arrogance, just like allowing a responsible and loving parent to play with his own children. Fortunately, he does not share this perspective, since he accepts the keys with an enthusiastic sparkle in his eyes and he immediately gets behind the steering wheel. The engine comes to life with an abrupt bark, and the car moves away on the narrow road that soon twitches into some tight bends. The brake lights don’t light up, although the tempo is quite brisk, proof that the reflexes of the 78-year old pilot are still intact. The steering and the throttle are enough to handle properly the red BMW. Close to the next small town lying on the shores of Lake Bodensee, in the South of Germany, an electronic indicator flashes a sad face, signaling that the speed limit has been breached. The imagination, nevertheless, puts with confidence a big smile on Jochen Neerpasch’s face. He began to drive when he was around 10, in the parking lot of the Borgward dealership owned by his father in Krefeld, near Düsseldorf. At age 12, he was entrusted to drive one of the cars delivered on wheels from the factory in Bremen to the dealership, over a distance of almost 300 km. According to the family plans, Jochen Neerpasch should have taken over the workshop, while his older brother was supposed to engage in the commercial activities of the dealership. Racing was not part of this plan. In fact, it was completely forbidden, following his brother’s severe crash in a rally. Shielded behind an industrious school performance, young Jochen followed his passion to drive cars to the limit: he graduated as a professional mechanic and began to work for Porsche. In the tractor department. He stayed there only for a few weeks, because he soon joined the racing department. “I thought that being a racing mechanic would pave the way to become a pilot. I learned a lot there, many things that later proved useful in racing, especially since engines back then were not very reliable and you had to feel how they performed in order finish the race,” recalls Jochen Neerpasch. Once he was 21 years old, when he no longer needed his parent’s formal approval, he became a certified pilot, and he begun to race on a Borgward Isabella. This moment is still missing from most official records, just as it was missing from the newspapers of the time, which was something that Jochen rejoiced from Stuttgart, some 400 km away from the family’s concerned eyes. It all came to an end that same year during the winter celebrations, when founder Carl F. W. Borgward sent a congratulating message to Krefeld, thus uncovering the racing ambitions of the young pilot. Following both the instant family uproar and the paternal pride in the son’s performances, Jochen Neerpasch’s racing career resumed its course. 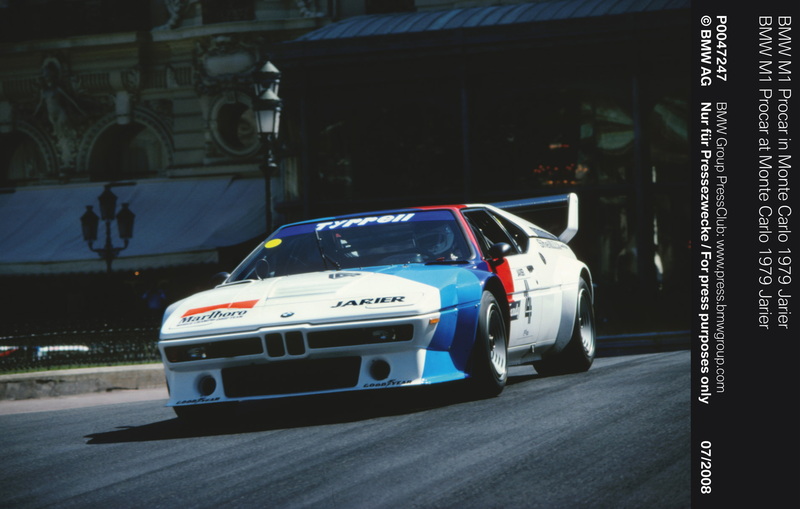 Keeping your foot away from the brake pedal of a BMW M1 that you know by heart – Jochen Neerpasch has in his study room a photo taken when the prototype of this car was presented in front of the company board – is an entirely different situation compared with racing a car without brakes, as it has happened to him at Targa Florio, in April 1964. Arriving in Palermo with Joachim Springer, driving a Ford 12M, Jochen Neerpasch was approached by the famous “racing baron” Fritz Huschke von Hanstein, team Porsche’s PR manager and racing director, with the offer to drive a 356B Carrera 2000 GS/GT. Known as the “Dreikantschaber”, borrowing the German name of a specialized scraper, this model had a faulty left rear brake line that also caused problems one month earlier, at Sebring. In only a few years of racing, after starting with Borgward, Jochen Neerpasch went on to drive Volvo (P1800, P444 and 122), Shelby (Cobra, GT350) and Lotus Elan, representing at times also his own company (Jochen Neerpasch Racing GmbH) that was tuning engines for Ford Germany. Then, in July 1966, on the Mugello circuit, as part of the World Championship, he raced together with Gerhard Koch, private Porsche pilot, on a 906 (Carrera 6). They won the race. “I immediately got a phone call from Porsche: starting from the following year I was a factory driver for Porsche.” He preserved this position until 1968, his best racing year (1st place in the 24 hours race at Daytona, 2nd at Sebring, 3rd at Le Mans), but then he got another offer, totally different than the previous ones. With support from the British colleagues, and taking advantage of the newly launched Capri, the young Ford team led by Neerpasch began to shine within the continental races – having as one of the drivers a young pilot called Hans-Joachim Stuck. In spite of this success, to work within a large company, with a standard budget and a long reaction time was sometimes at odds with the needs formulated by Jochen Neerpasch based on his experience as a mechanic, pilot and manager. As a result, another phone call, this time from Robert “Bob” Lutz, sales manager at BMW, created the opportunity for higher expectations. 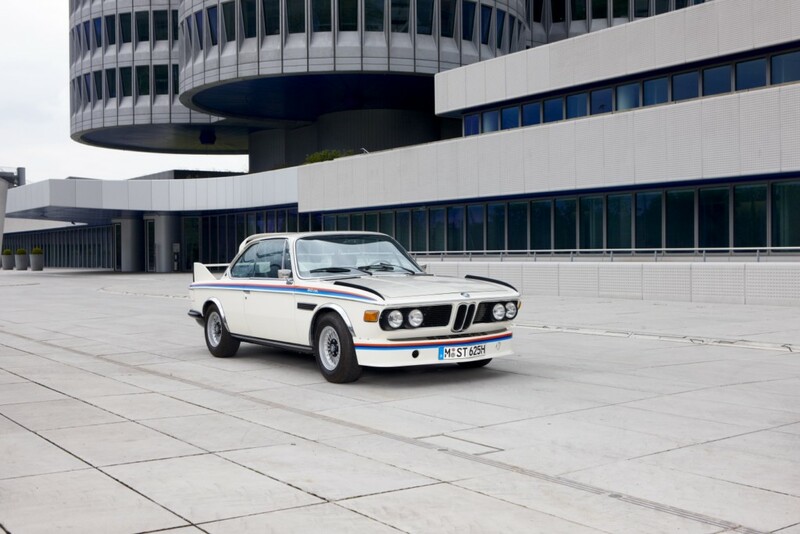 At the beginning of the 70s, BMW had a narrow racing footprint, focused on delivering engines and supporting tuning companies, like Schnitzer or ALPINA. The technical genius of Baron Alexander von Falkenhausen and of the legendary Paul Rosche was highlighted by Bob Lutz’s vision to use motorsport as a marketing tool. Jochen Neerpasch was the one who integrated the entire effort. Again, starting from an empty office. The most relevant result following Jochen Neerpasch’s arrival at BMW – with the pilot Hans-Joachim Stuck and the engineer Martin Braungart, both coming from Ford as well – was the launch of the 3.0 CSL, with the “L” standing for “Leicht” (light), mirroring the effort in reducing the overall weight of the car (aluminum alloys, Plexiglas side windows, no sound insulation materials). In its top-spec aerodynamic version, with a massive rear wing, that was delivered separately, to be installed by the owner, due to homologation restrictions, this BMW was nicknamed “the Batmobile”. Having behind the wheel drivers like young Stuck, Swede Ronnie Petersen, Dutch Toine Hezemans and Austrian Dieter Quester, CSL made history in Europe (in the continental touring championship and in the forerunner of the current DTM), as well as in the USA (IMSA GT). First steps were swift: prototypes, road testing between Munchen and Sant’Agata Bolognese – by the end of the development phase, the distance between the two cities was covered half an hour earlier than in the beginning – but then the BMW management became aware that Lamborghini had difficulties in paying its suppliers and contractors. The perspective of having to deal with a liquidation officer, causing significant delays and the pressure to complete the project pushed the team to extreme measures. “It was not a very responsible action, but we had to do it: we went with our trucks, and with the help of the local engineers, we took away all the prototypes and everything related to M1,” recalls Jochen Neerpasch. The M1 project went forward. But costs started to pile up. And they were not only financial costs. With the body assembled at ItalDesign over a frame fabricated at Modena, with all this package sent over to the coachbuilder Baur, in Stuttgart, where the engine and gearbox supplied from Munchen were installed, M1 became a problem for Jochen Neerpasch, who found once again an innovative solution. Together with Max Mosley and with Bernie Ecclestone’s support, the Procar series was launched, gathering private drivers and top Formula 1 pilots (those who were not tied with exclusive brand contracts) to race in identical M1s ahead of F1 races. The championship lasted for two years, 1979 and 1980, being won by Niki Lauda, and Nelson Piquet, respectively. 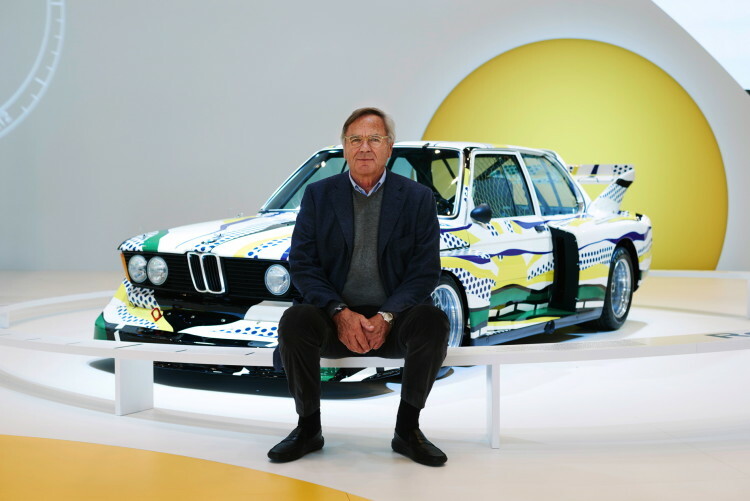 Nevertheless, the BMW management’s decision to significantly reduce the spending in motorsport pushed Jochen Neerpasch to accept the offer brokered by Jean Todt to build an F1 team under the brand Talbot. He did not give up on BMW, though, because he came up with a plan that had the Bavarians as suppliers of engines for the new team: “It was basically what happened later with the partnership between Porsche and TAG. Brabham could have provided the team, and Alain Prost would have been the pilot. But the deal didn’t happen.” A partnership between BMW and Brabham was concluded later on, but without the involvement of Jochen Neerpasch. The fate of M1 as part of a long term strategy to bring BMW into Formula 1 does not look very fortunate at first, especially if you don’t take into account other turning moments in the history of the German brand that were signed by Jochen Neerpasch: the launch of the Art Cars series in 1975; the development of the BMW Junior program in 1977 (the launching pad for Marc Surer, Manfred Winkelhock and Eddie Cheever, an idea that was replicated by Neerpasch for Mercedes, thus paving the way for Michael Schumacher, Heinz-Harald Frentzen and Karl Wendlinger); the impulse for the new BMW 320 (E21) secured by performing under the Group 5 homologation; the promotion on the US market not by advertising, instead by competing in motorsport events; the starting point for the driver training programs; the production of high-performance 5 Series versions (initially with the practical goal of allowing the CEO security teams to keep up with the 7 Series), thus announcing the launch of the M5. Lamborghini within the BMW family! 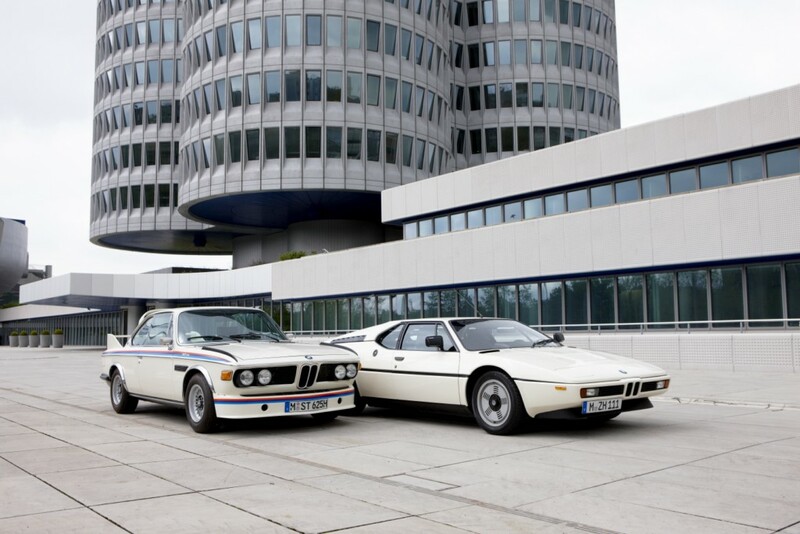 This is a beautiful dream that can still be achieved with a performance model that mirrors the M1 in its days. Unfair as it may seem to hand over the M1 keys to Jochen Neerpasch, it is equally overwhelming the revelation when, at the end of the trip, he gives you back the keys of the car. Literally and figuratively speaking, in real cars and symbolic values, Jochen Neerpasch has offered to all of us the keys to the BMW performance that we grew up with and that is still waiting for us to fully discover.